It is located at a distance of 60 km from Kakinada,20 Km from Rajhmundry and 110 km from Amalapuram. This is an ancient and historical temple and also a Vyshnava Divya Kshetra. The daily rituals are being performed according to Vyshnava - Vyghanasa Agama Sastra.There are two temples out of which one is Swayambuvu and another is Prathista Deity. The Swayambhuvu is situated in about 120 mts. 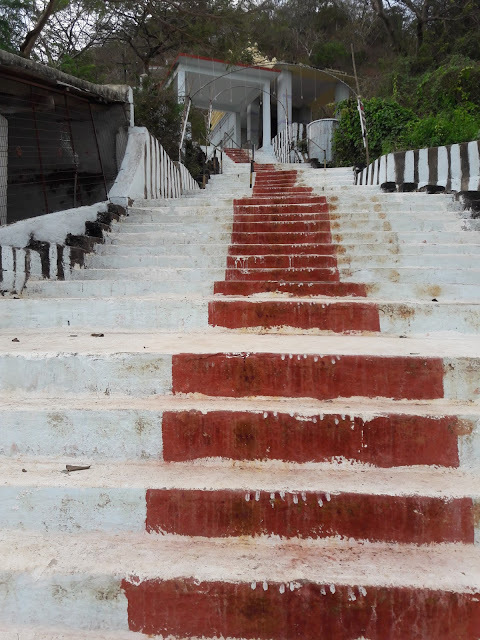 height having about 615 steps which are very keen and because of this keen formation of the hill the village is named as "Korukonda".The deity which is a Swayambhuvu appears in a holy place at the top of the hill measuring about 9 inches. It is really wonder and mankind could not be instate either the deity or any other stone which is about 120 mts. height, the temple which was constructed long long back have got much Silpa Soundaram around it.There are number of Sila - Sasanams appeared in the temple and as well as on the top hill of the temple. The temple was constructed about 700 - 800 years back and the family of Parasara Bhattar were looking the affairs of the temple and the same tradition is still being continued by recognizing the family members as founder trustee. There is no doubt this is a very good looking place having site seeings through out the hill and steps. The great poet Sri Srinatha in his poetry prayed the God stated, this Korukonda is "Vedadri". This was supported by Sila - Sasanam which was found at Lakshmaneswaram Village, Narsapur Taluk, W.G.Dt. which related to 1443 A.D. 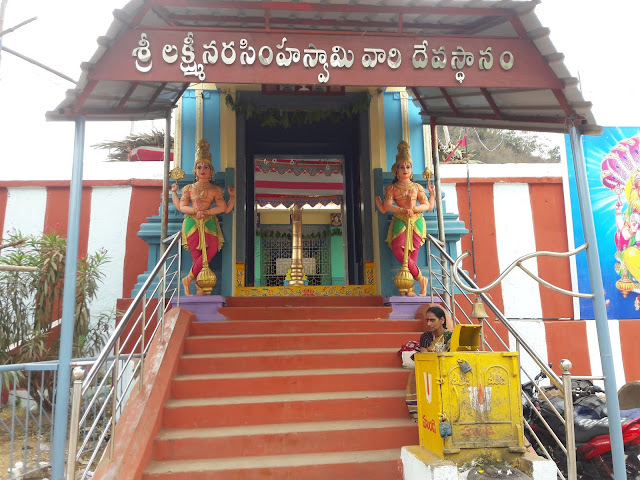 Located at a distance of 60 kms from Kakinada, 20 kms from Rajahmundry and 110 kms from Amalapuram, is the Korukonda Temple, an ancient and historical temple, a Vaishnava Divya Kshetram, a prominent temple dedicated to Lord Vishnu Avataram. It is called Korukonda `where koru means wish and konda means hill in telugu'. Thus, it is a wishing hill or God who immediately heeds to the wishes of the devotees. The presiding deity here is Lord Sri Narasimha Swamy. Here at Korukonda, the Lord is known as "Satvika Narasimha'', because he is accompanied here by his consort, Lakshmi Devi. 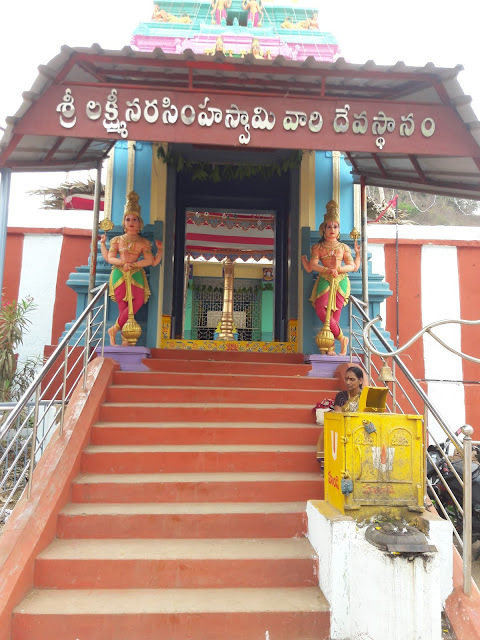 There two temples of Lord Sri Narasimha Swamy in this village. One is at the top of a steep and narrow hill adjacent to the village, and the other temple at the foot of the hill Of the two temples, one is a Swayambhu (self originating) and the other one which has been installed. The swayambhuvu is situated at the top of the hill which a pilgrim can access only through a long flight of 650 steps which are very steep and narrow. Because of this steepness, this temple has been called Korukonda.. The Swayambhu deity is situated at about 120 mts height atop the hill. The temple of swayambuvu deity which is atop of the hill measures about 9 inches in height. 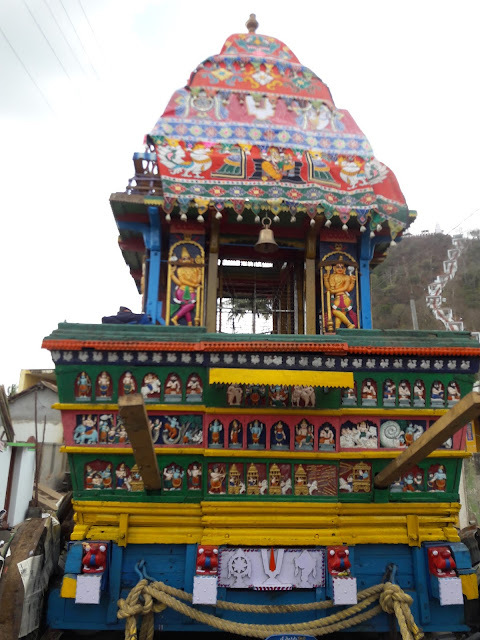 The temple of the deity which was installed is at the foot of the hill and has much sculpted beauty around it. There are number of shila shasanams (scripted stones) which have appeared at the temple as well as on the top of the hill. The temple was constructed about 700-800 years ago by the family of Parasara Bhattar, whose descendants continue to oversee the affairs of the temple as the trustees of this temple to this day. It is said that the great sage Sri Srinatha in his poetry stated that Korukonda is "Vedadri". And this belief is said to be supported by the shila shasanam inscripted in the year1443 A.D and subsequently found at Lakshmaneswaram Village, Narsapur Taluk, W.G. District. Sri Swamy Vari Kalyana Mahostavam (Phalguna Suddha Ekadasi) (March). Telugu New Years Day (Chaitra Suddha Padyami) (March/April). Sri Ramunjula Vari Thiru Nakshtram (May). Godavari Pushkara Mahostavam (Sravana Masam - Entrance of Guru in Simha Rasi) (July/August once in 12 Years). Navarathri Utsavam (Sri Lakshmi Poojalu) ( Asveeja Suddha Padyami) (October). Dhanurmasa Rituals ( Margasira Masam) (December). 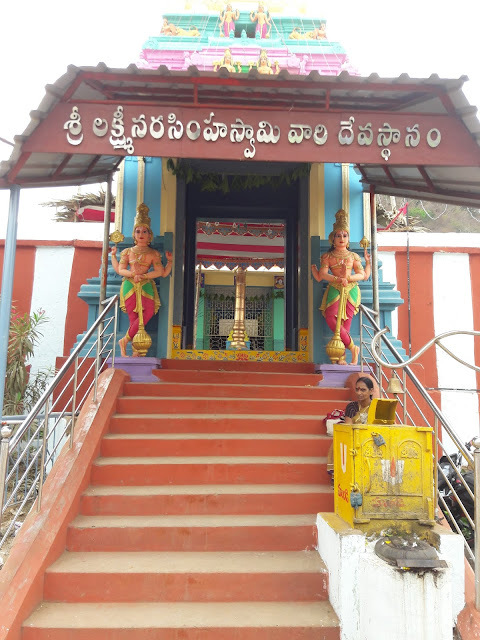 Mukkoti Mahostavam (Sudda Ekadasi) (January). 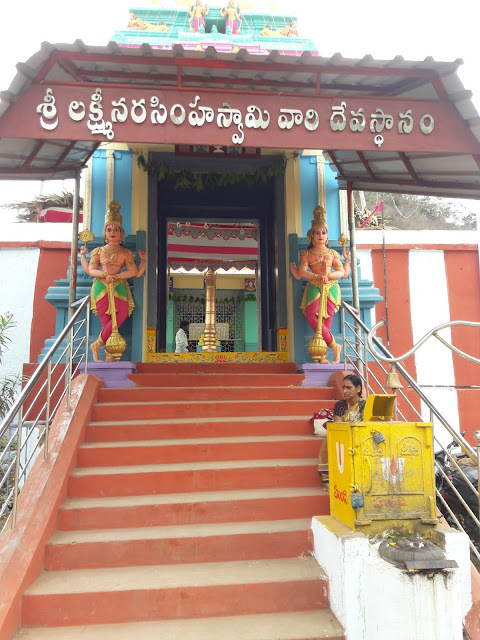 Pilgrims who wish to visit this temple have to either stay at Rajahmundry or Kakinada where there are a lot of options for a comfortable stay. 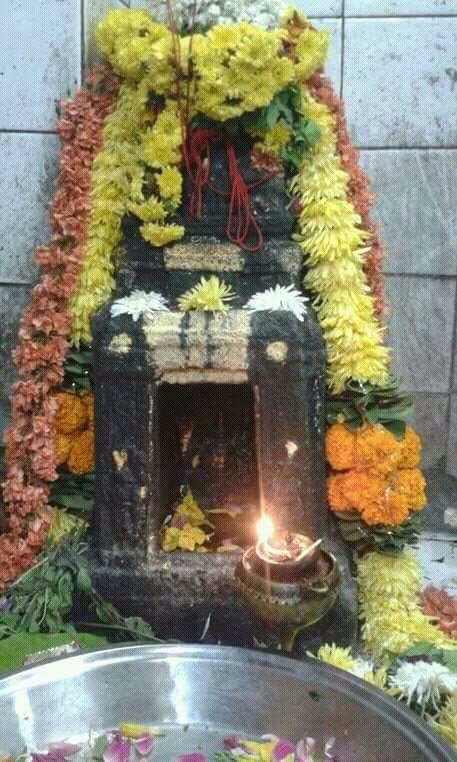 0 comments to "SRI LAKSHMI NARASIMHA SWAMY TEMPLE"